When comparing therapeutic vs Swedish massage there are several aspects that are the same. However, there is one big difference and that is the desired end result. It’s important to know what kind of a massage that you are signing up for, so you know what to expect. Both therapeutic massage and Swedish massage start the same way. You will begin by discussing areas of discomfort and places on your body that you would like to have focused on. Just like in any other massage, you will also disrobe and get comfortable before getting onto the massage table. Your massage therapist will use long smooth strokes in Swedish and therapeutic massage. They will also use their hand, forearm, and fingers to conduct the massage. In either massage the therapist will use either lotion or essential oils throughout the process. Both massages can be concentrated on a specific area of the body, or all over the body. Depending on where your feeling the most tension will dictate whether the therapist concentrates on your back, shoulders, neck, arms, or legs. It is encouraged that you let your therapist know whether they are applying enough pressure or not. It is okay to ask for more or less at any point of the massage, or to have them move onto another area. This is probably the biggest difference in therapeutic massage vs Swedish massage. The focus of a therapeutic massage is to release muscle tension and, in some cases, increase your range of motion. This focus is on healing your body physically. While Swedish massage can heal your body physically, it’s primary focus is more on relaxation. Swedish massage tends to use slow gliding strokes that increase blood flow and circulation. The goal is to leave you more relaxed than when you came in whereas therapeutic massage is meant to leave you closer to pain-free. The amount of pressure that a therapeutic massage uses is significantly more than that of a Swedish massage. In order to relieve muscle tension, a therapist will have to press firmly in order to massage deeper into the tissue and release many of the knots that have accumulated. Swedish massage will use a lighter touch. There isn’t anywhere near as much pressure placed on the muscles and deeper tissues. 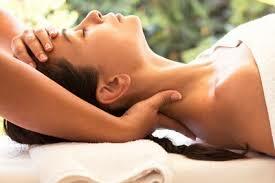 In some cases, the pressure used in therapeutic massage can leave some people sore immediately following the massage. This feeling usually disappears in a day or two. At the end of the Swedish massage there usually no sore feelings and many people are even more relaxed after leaving a Swedish massage even when they are on vacation. The massage therapists at Pathway to Serenity are ready to provide you with a comprehensive solution to your body’s aches and pains. Their healing hands are dedicated to improving your health mind, body, and soul. They have helped hundreds of people across Reno and Sparks with sports massage, therapeutic massage, deep tissue massage, or a sugar foot scrub and foot massage. They are located in Reno and available Monday through Friday from 10 AM to 8 PM and Saturday and Sunday from 10 AM to 7 PM.